BRICKS OF EGYPT - Brick breaking action, based on a strong egyptian theme. 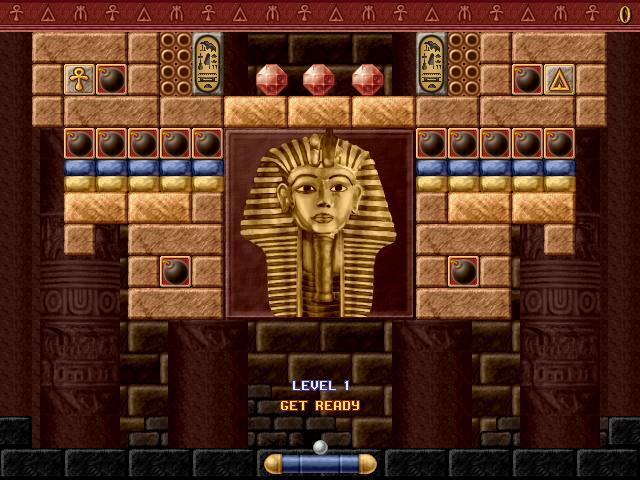 Bricks of Egypt takes you on a fantastic journey through an undiscovered egyptian world of traps, lasers, fire-balls, gems and hieroglyphs. Classic brick breaking action for all ages, with a state-of-the-art game control unlike older games in this genre. 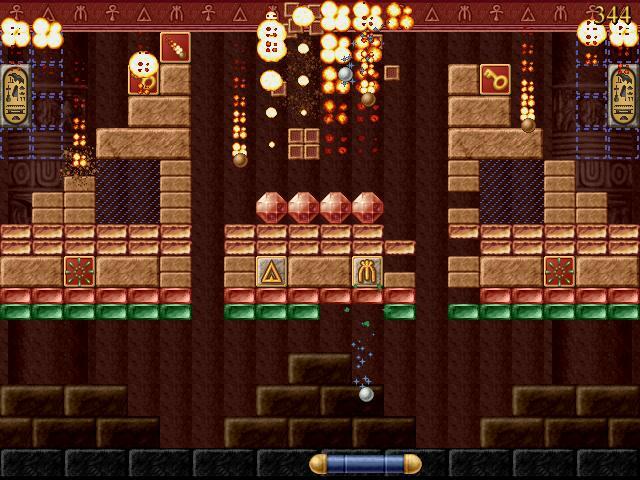 Bricks of Egypt is also spiced up with a rich set of bonuses and special effects. Strong theme with atmospheric music. Rich set of bricks, bonuses and special effects. Superb bat and ball mathematics .